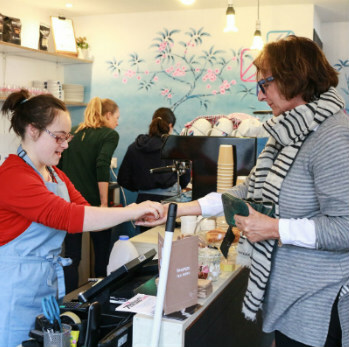 Interview: Rosa Monckton suffered a backlash when she made the case for people with learning disabilities to be exempted from minimum wage protection, in order to create more job openings. Learning Disability Today visited the learning disability training centre she’s set up, to explore the debate around employment challenges. Businesswoman and charity-founder Rosa Monckton starkly divided opinion when she made the case for people with learning disabilities to be exempted from minimum wage protection. Her argument, first published in The Spectator earlier this year, was that it would create more job openings for a group wrestling unemployment rates of 94 percent. Many came to hear of the social enterprise founder’s proposal second-hand, through follow-up reaction pieces penned by other writers – of which there were many – or social media posts. She was speaking as the mother of a child with learning disabilities soon to reach workable age. She was speaking, also, as the founder of a popular new training centre that has achieved early success in delivering employment pathways for young people with learning disabilities. Whether this context was considered or lost, it spared her little criticism. Although Rosa doesn’t discuss her daughter directly, the inference is that she desperately wants her and people like her not to become part of the aforementioned 94%, but to experience the sense of accomplishment that comes from working. It's a very human instinct. Rosa is disarmingly frank, particularly when she reflects on the moral criticism she received from people with physical disabilities, often similarly susceptible to discrimination as those with learning disabilities. All of which brings us back to the candidates themselves, the cohort of 30-odd young people with a range of learning disabilities supported at Team Domenica HQ, spread across three floors. We’re speaking in the café on the ground floor, which is the service’s hub. People with a range of abilities from Down’s to Dyspraxia are serving at the counter, cooking, taking part in customer service related workshops (not lecture-based), or enjoying "enrichment activities" like table tennis. Four trainees have advanced from the café to paid work thus far; two are working at local Co-op supermarkets, one is serving food at Brighton Pier and one has been employed as a pastry chef at Sussex University. Learning Disability Today discusses with the trainees what expectations they had before enrolling with Team Domenica. Ewan, who has had hemiplegia and other neurological conditions from birth, says: “There was a piece on the news saying Team Domenica was opening and I thought 'wow, it would be good to get a job in the workplace'.” Although he had had a flavour of work through other work experience placements, it seems to be the thought of working at all that excites him, not money or what he would do with it. The 22-year-old adds that he “would like to get a job in another café, working behind the till.” Ben admits his dream job would be to act, saying he “loves” drama. A pervading lack of confidence means aspirations are rare when candidates first join, Rosa says, with most candidates having been encouraged to attend by their families. The café-model has been well received as valuable and appropriate for many young people with learning disabilities. It is supported by the local council, parents, the students and is expanding in September due to demand. The jury remains out on the question of minimum wage exemptions, but the conversation will continue.